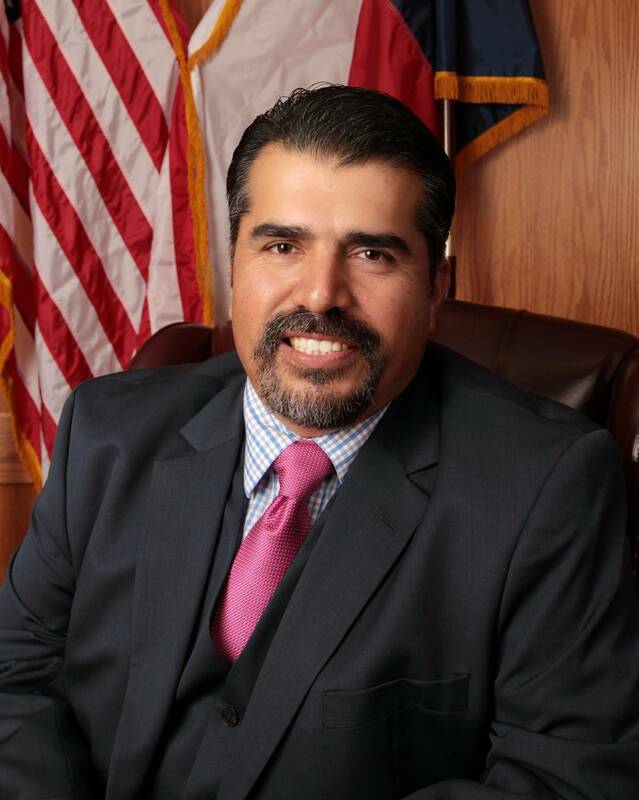 The Mission of the Robstown Municipal Court of Record is to serve the community through the promotion of justice by providing an impartial forum for the resolution of all cases brought before the court in such a manner that legal rights of individuals are safeguarded and public interest is protected. The City of Robstown Municipal Court accepts payments in check, money order, ATM debit card, and credit card (American Express, Visa, MasterCard and Discover). There are two types of Defensive Safety Course (DSC) or “defensive driving” programs available, mandatory and discretionary. These programs and other matters can be processed by placing a call to the Municipal Court at 361-387-4589. Deferred Disposition is a suspended sentence. On your plea of guilty or no contest, the court will defer a finding of guilt, assess Court costs, and order that you post a bond and comply with certain conditions. You may request Deferred Disposition on or before your first court date in person, by phone, or by mail. If you successfully comply with the terms, your case will be dismissed, and the bond money will be applied to a special expense fee. If you fail to comply with the terms, a judgment will be imposed, a conviction will be reported to DPS (Texas Department of Public Safety), and the bond money will be applied to the fine. Include moving and non-moving violations, commercial vehicle violations, failure to maintain financial responsibility, no driver’s license, etc. Courts as codified Section 21.001, Government Code, the following Rules of Conduct and Decorum shall apply and govern any and all proceedings held before the Municipal Court of the City of Corpus Christi, County of Nueces, State of Texas. No reading newspaper, magazines, or books. No propping of feet on benches or leaning on the judicial bench. No talking or loud noises. iv) Shorts or skirts which are not two inches above knee or longer. No video or audio recording equipment of any kind shall be turned on in the Courtroom without the prior approval of the Judge. Such equipment includes but is not limited to: still cameras, video cameras, and all audio recording devices. NO CELL PHONES, IPADS, TABLETS OR COMPUTERS MAY BE USED IN THE COURT ROOM OR JURY ROOM DURING JURY DELIBERATIONS. THESE DEVICES WILL BE COLLECTED IMMEDIATELY AFTER THE JURY IS SELECTED AND RETURNED AT THE END OF THE JURY TRIAL. Personal pagers may be used in the vibrating or silent position. No weapons are permitted except those carried or possessed by commissioned peace officers or as needed for evidence in court. Children are permitted in the courtrooms subject to children may be required to exit Courtroom or any other Court Department. Attorneys shall observe the letter and spirit of the canons of ethics, including those concerning improper ex parte communications with the Judge and with those dealing with discussion of cases with representatives of the media. Attorneys shall advise their clients and witnesses of the Rules of Decorum that may be applicable. It is improper for attorneys, defendants, or witnesses to discuss the merits of any case set before the Court with a Judge outside of the Courtroom proceedings. Pro se Defendants (defendants acting as their own defense) shall conform their behavior to all provisions applicable to Counsel. Counsel shall be dressed appropriately while in attendance of the court, unless otherwise permitted by the court. Once a party has entered the courtroom and is appearing before the Court, he/she shall not leave without obtaining permission from the Court. All remarks of counsel to the Court shall be addressed to the Court formally. All objections, arguments and other comments shall be directed to the Judge or Jury and not to the opposing Counsel. In addressing the Court, Counsel shall rise and remain standing at their positions at the counsel table. Counsel shall not lean on the bench, sit on the rails or table, or appear to engage the Court in a confidential manner. The Court may enforce these rules of conduct and decorum by appropriate action or sanctions. Request for a language interpreter should be made at the time a plea is entered. Court Clerks cannot provide legal advice. Reliance upon a police officer’s verbal statement(s) regarding disposition of an offense is not binding upon the court. If you are found guilty and are not satisfied with the judgment of the court, you have the right to appeal your case. To appeal, you must file an appeal bond with the municipal court within 10 days of the judgment if you appeared in open court. If you pled guilty or nolo contendere, waive your right to a jury trial and requested the amount of fine and appeal bond, put the request in writing and mail or deliver it to the court before your initial court appearance date, you have 31 days from the time you received a certified notice from the court to pay the fine or file an appeal bond with the municipal court. The amount of the bond will be set by the judge and the form of the bond must be approved by the judge. If you are found guilty, you may make an oral or written motion to the court for a new trial. The motion must be made within one day after a judgment of guilt has been announced against you. The judge may grant a new trial if the judge is persuaded that justice has not been done in the trial of your case. Only one new trial may be granted for each offense. The law requires that you appear in court to enter a plea on your case. If you were issued a citation, you must appear on or before the 14th day of receipt of the citation. Your initial appearance may be in-person, by mail, or fax or by your attorney appearing in person at the court. The purpose of your initial appearance is to enter a plea (guilty, not guilty, or nolo contendere) and to advise the court as to the type of trial (jury or non-jury) that you want if you are pleading not guilty. There are separate rules for offenders sixteen years of age or less. If you have been released on bond, your appearance date is set on the bond. If you waive a jury trial and plead guilty or nolo contendere (no contest), you may talk to the judge about extenuating circumstances that you want the judge to consider when setting your fine, but the judge is not required to reduce your fine. Before pleading guilty or no contest, you should read the section on pleas (Court Options). If you plead not guilty, the court will schedule a trial. If you waive your right to a Jury Trial, the trial will be before a Judge. When you make your appearance by mail, your envelope must be postmarked on or before the 14th day after you received your citation. If you plead guilty or no contest, you must include a waiver of jury trial. If you plead not guilty, the court will send you a notice setting the date of your trial. If you fail to appear in-person, by mail, or fax by the 14th day after the date you received your citation or summons, or if you subsequently fail to appear for a pre-trail or trial setting, you can be charged with an additional offense of “Violation Of Promise To Appear” or “Failure to Appear” and a warrant for your arrest will be issued. The offenses of “Violation of Promise to Appear” and “Failure to Appear” carry with them additional court costs, fees, and fines. Your failure to resolve your offenses will result in reports being made to the Department of Public Safety, the Department of Transportation and Nueces County. You may be denied your right to renew your driver’s license or to register a vehicle in your name. A plea of not guilty may be mailed to the court. You may use one of the attached forms to enter your not guilty plea on each offense listed on the citation you received. The court will schedule your case for a trail setting and send you a trail notice for your court date. Not Guilty plea. You must update the Court on any changes of address you may have. You and your attorney must be present at the time of the pre-trial hearing. You may plead guilty or no contest. You may use one of the attached forms to enter a plea on each offense listed on the citation you received. If you are unable to pay all fines, costs and fees at once, the court may allow you to make installment payments if you complete a Financial Information Form and the court agrees to the installment payments. If you feel that you are unable to make installment payments because you have income of less than 125% of the federal poverty guidelines or for other good reason, the court may allow you to discharge your fines by the performance of community service if you are physically able to do so. You will need to come to court, fill out a Financial Information Form and request community service from a judge. If you are cited for Failure to have and Produce a driver’s license, the citation will be dismissed if you present proof that you had a valid driver’s license on the date of and at the time of the offense. citation, pay any county penalty fees, and pay a $20.00 administrative dismissal fee. A trial in municipal court is a fair, impartial and public trial as in any other court. Under Texas law, you can be brought to trial only after a sworn complaint is filed against you. A complaint is the document which alleges what act you are supposed to have committed. You can be tried only for what is alleged in the complaint. • The right to inspect the complaint before trial and have it read to you at the trial. • The right to choose either a jury trial or a non-jury (bench) trial. • The right to hear all testimony and see all evidence introduced against you. • The right to cross-examine any witness who testifies against you. • The right to testify on your behalf. • The right not to testify, if you so desire. If you choose not to testify, your refusal to do so cannot be held against you in determining your innocence or guilt. • You may call witnesses to testify in your behalf at the trial and have the court issue a subpoena (court order) to any witnesses to ensure their appearance at the trial. The request for a subpoena must be in writing and submitted to the prosecutor at least 10 days before trial. Officer’s appearance at court. If you request a trial by jury and fail to appear, you may be assessed the cost of impaneling a jury. and state the reason for your request. Except in an emergency, your request must be received by the court at least five (5) days prior to trial. The judge will make a decision whether or not to grant the continuance. You may contact the Judges’ office (361-886-2520) to learn of the judge’s decision. If your motion for a continuance is denied and you fail to appear a warrant for your arrest will be issued. You have the right to hire an attorney to represent you or you may retain the right to represent yourself. The City will NOT provide you an attorney. Whether you have an attorney or represent yourself, the rules of procedure and evidence will apply. If you choose to have the case tried before a jury, you have the right to question jurors about their qualifications to hear your case. If you think that a juror will not be fair, impartial or unbiased, you may ask the judge to excuse the juror. The judgewill decide whether or not to grant your request. In each jury trial, you are also permitted to strike three members of the jury panel for any reason you choose, except an illegal reason (such as to strike based solely upon a person’s race or gender). After each prosecution witness has finished testifying, you have the right to cross-examine. In other words, you may ask the witness questions about their testimony or any other facts relevant to the case. You cannot, however, argue with the witness. Your cross-examination of the witness must be in the form of questions only. You may not tell your version the incident at this time–you will have an opportunity to do so later in the trial. After the prosecution has presented its case, you may present your case. You have the right to call any witness who knows anything about your case and to offer into evidence pictures, documents, or other evidence. The State has the right to cross-examine any witness that you call. If you so desire, you may testify in your own behalf, but as a defendant, you cannot be compelled to testify. It is your choice, and your silence cannot be used against you. If you do testify, the State has the right to cross-examine you. If the case is tried by the judge, the judge’s decision is called a judgment. If the case is tried by a jury, the jury’s decision is called a verdict. In determining the defendant’s guilt or innocence, the judge or jury can consider only the testimony of witnesses and any evidence admitted during the trial. If you are found guilty by either the judge or jury, the penalty will be announced at that time. You should be prepared to pay the fine at this time.